Are you planning an addition for your backyard such as a deck, porch, pergola or gazebo? 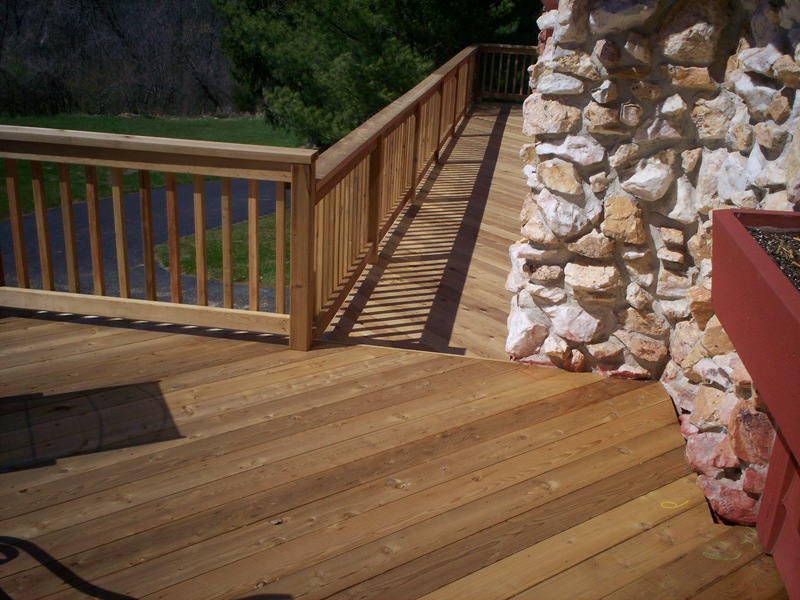 Archadeck can help you get the process started with project ideas and material samples. Whether you begin with a deck or choose to combine several elements for a larger project, we keep the process simple no matter the scope of the job. We’ve been doing this a long time, so we can offer plenty of local support and expertise for deck building in St. Louis and St. Charles. It’s all about designing the right structure with the right materials to fit the homeowner’s preferences, budget and lifestyle. Shown here is a classic cedar deck that complements stone accents and wooded landscaping near Wildwood, Mo in St. Louis County. Visit our local website to see special offers and beautiful decks, porches, pergolas, gazebos, under deck rooms, screened enclosures (and more) in St. Louis, St. Louis County, West County, South County, St. Charles and St. Charles County in Missouri. Or call us, 636-227-0800 for an on-site consultation and estimate. High Tech Decking Materials – How to choose? St. Louis Mo: Building a deck… where to start? Decks St. Louis: Composite or Wood?